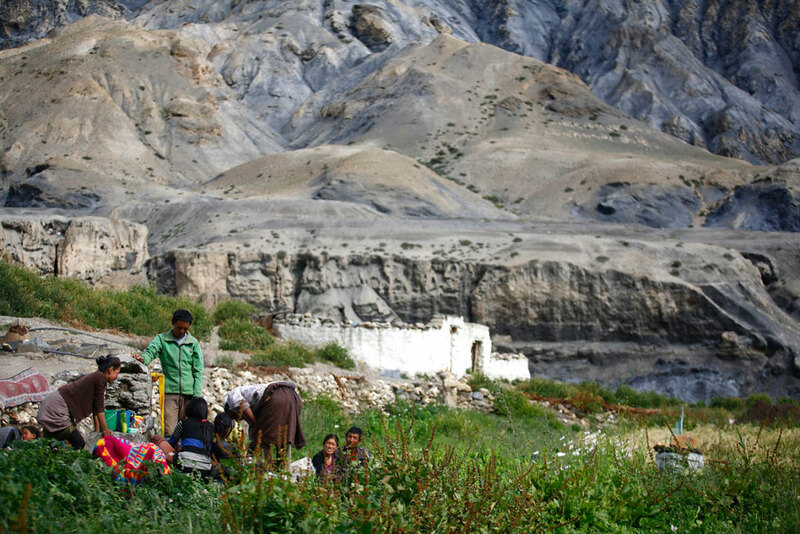 Tucked behind towering cliffs and deep canyons, in a remote corner of Upper Mustang, Samzong appears abandoned from a distance. Houses look deserted and farms look dry. The river alongside the village has been reduced to a trickle. Enter the village, and it is clear why: there is simply no water. People line up at the village’s only tap, carrying their empty buckets. “This is the only water tap working here. 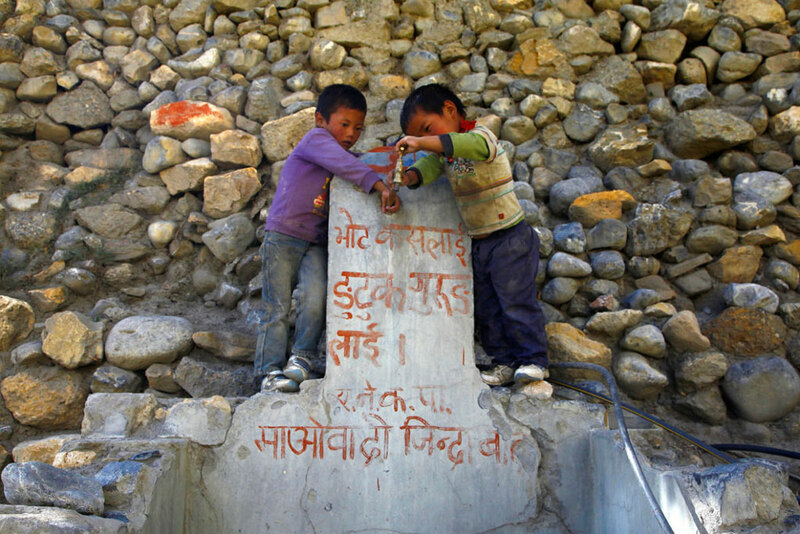 The other one went dry a few days ago so everyone has to come here instead,” says Nima Gurung. In a trans-Himalayan region that receives less than 200mm of rain a year, erratic rain and snowfall have led to a deepening water crisis. “The rain never arrives on time anymore. When it rains, it rains extremely heavily for a short period but it is not enough to sustain the village,” says Topke Gurung, one of the village chiefs. The level of water in the river is largely dependent on the amount of winter snowfall which also varies every year. When the rains do come, they fall in huge torrents that trigger landslides on the barren slopes. As a result,they wash away channels that bring irrigation water into the village, leading to a decrease in the productivity of farmlands. “Thirty years ago, the area opposite this village was all used for farming, now we don’t even have enough water to irrigate the remaining farms,” adds Gurung. In the village of Yara, it is the same story. Irregular rain and a lack of reliable irrigation systems have affected crops. “We used to harvest wheat, buckwheat and mustard twice a year. Since there is not enough water now, we just grow wheat once a year. It is still a problem since the fields get dry before it’s time to harvest,” says Karsang Gurung of the Aama Samuha in Yara. 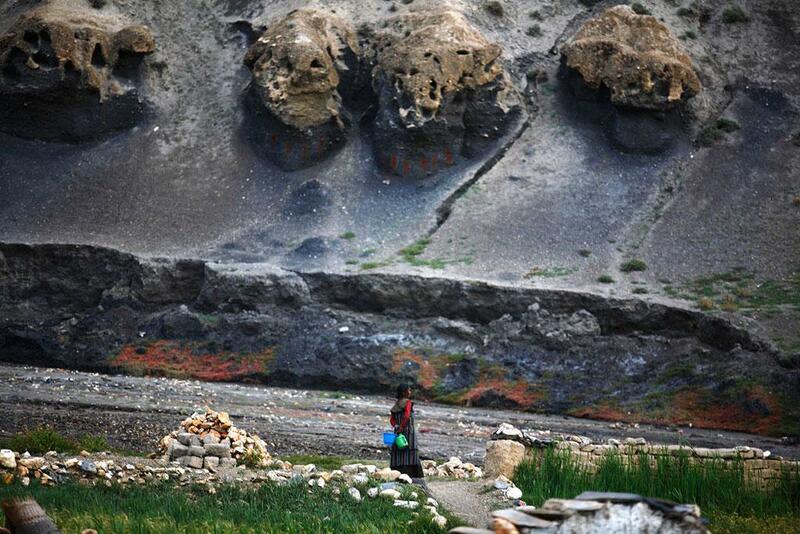 In contrast to Samzong, there are five water taps within Yara. Built by CARE Nepal, the pipes are wide, so they are able to bring enough water to the village. But seasonal flooding has rusted the pipes and damaged the canals which bring water into the village. To avoid conflict, Yara has a system in which each household is given a day to irrigate its fields. 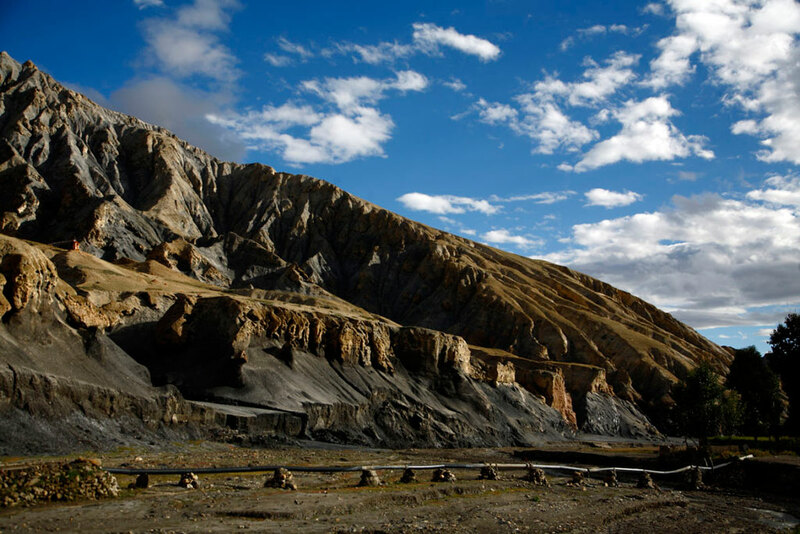 On the other hand, Samzong residents requested that the king of Mustang relocate to Namashung near Lo Manthang after the flashfloods of 1985 and1987 left the area empty. “There was not much use of the barren land after the floods and with donations, we built 18 houses,” says Lama Ngawang Kunga Bista, who organised the relocation. Only the irrigation channel is left to be built, and it is expected to be completed by next year. 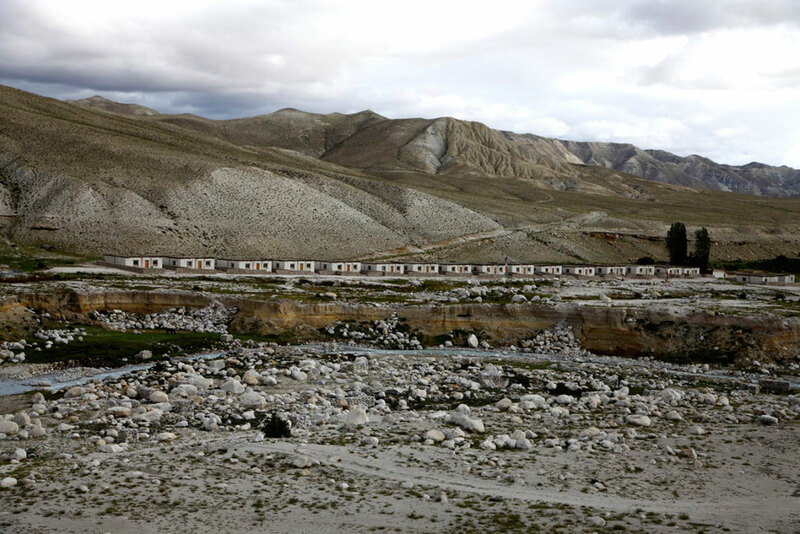 Residents are happy to move to Namashung, to be closer to Lo Manthang. Another village affected by water shortage, Dheye, is moving to Thangchung. Much to the dismay of its residents, Yara doesn’t have an alternative location to move to. While Thangchung is located in an isolated area with ample water supply, the village of Namashung’s proximity to neighbouring Nenyol is stirring up concern for water sharing and contamination in the future. There isn’t enough evidence for any correlation between Mustang’s water stress and climate change in Nepal’s most arid region. What local farmers do know is that the weather has become unpredictable, offering either too much or too little rain.